When the Montage brand opens a new property, I just know it’s going to be good! They select the best location in a destination, and then provide the best possible service and experience to pair with it. 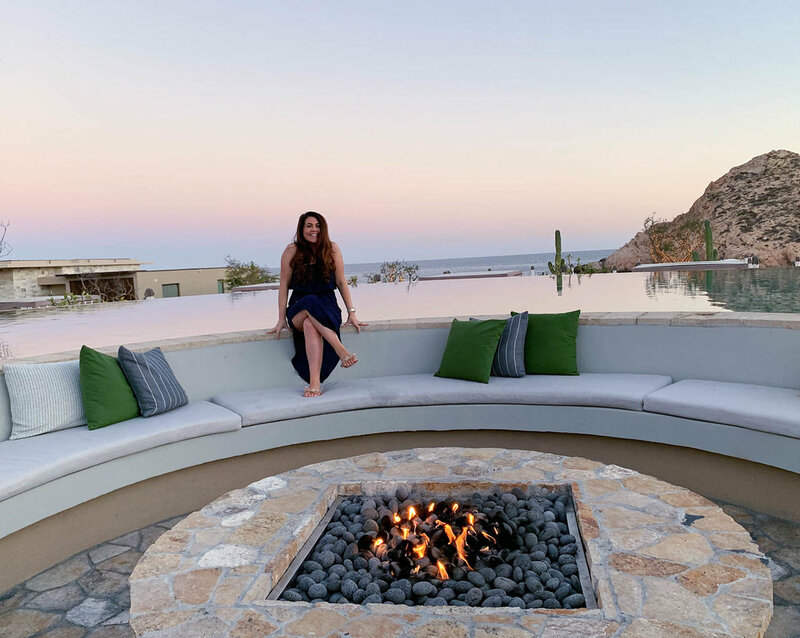 Needless to say, I was ecstatic to explore the new property in Los Cabos, their first international property for the Montage Brand. • When you arrive in the lobby, you’re greeted with breathtaking views of the Santa Maria Bay. 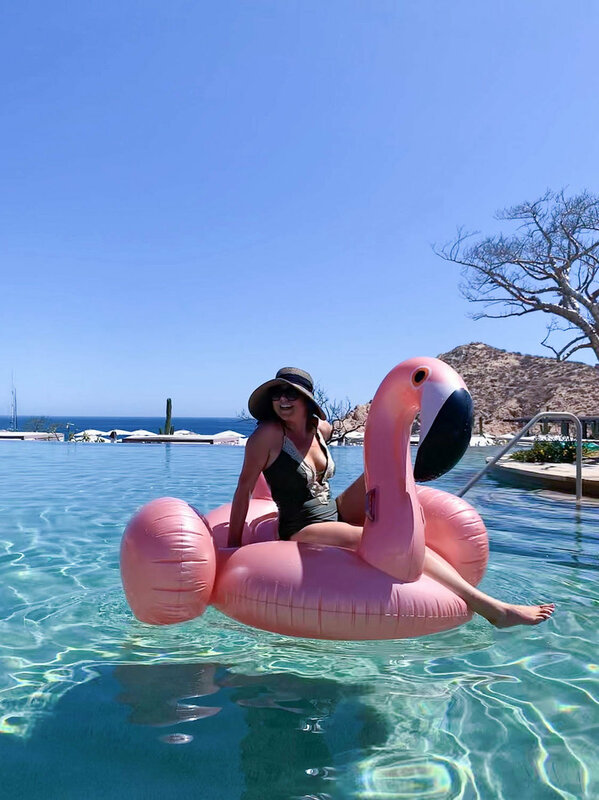 You’ll instantly feel the relaxed luxe vibe of this resort, set on a majestic desert landscape beside the turquoise blue Sea of Cortez. 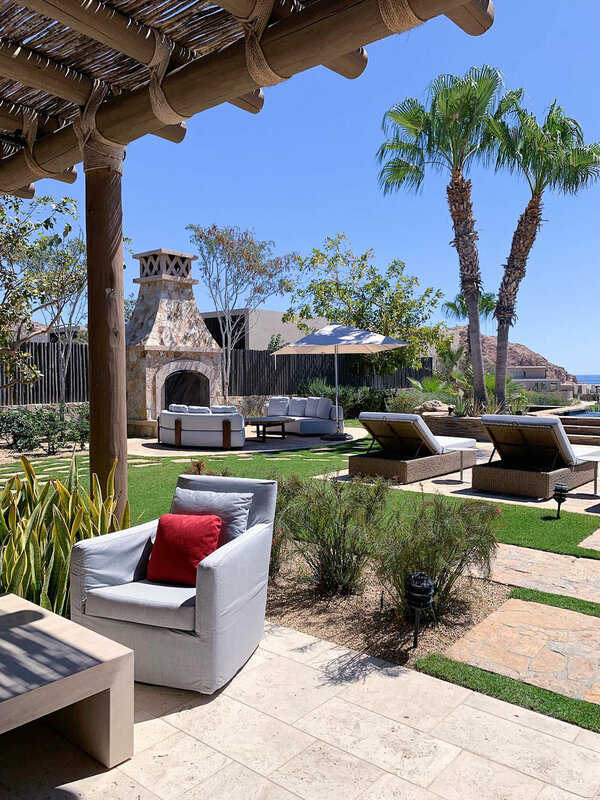 • The Montage Los Cabos is set on one of the few swimmable beaches in Los Cabos, because it’s located in a bay where the water is calmer. You can even go out on the water each morning at sunrise with a guide and a paddleboard. 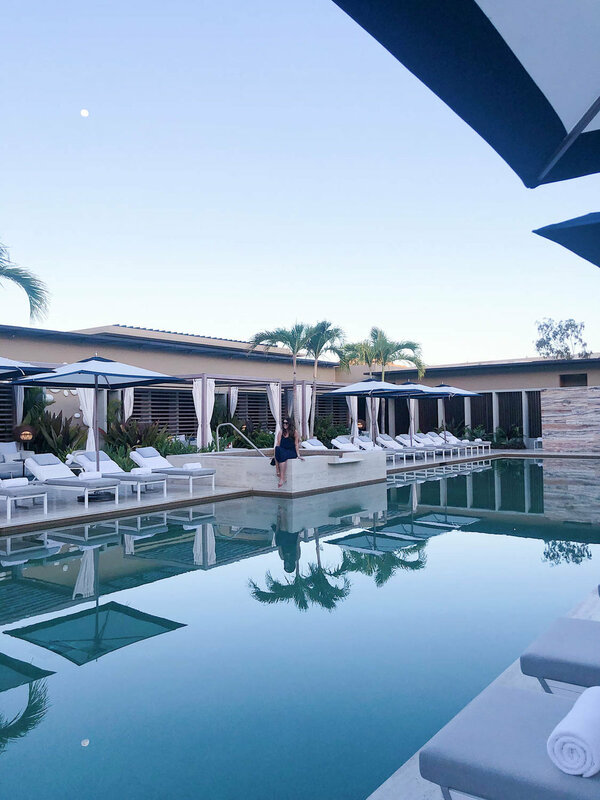 This experience is offered daily and is included in your stay. During whale season, you can see the whales playing right in the bay, with your very own eyes! *Please note, this is a public beach and there will be locals relaxing with their families. Because it is on Montage property, it is perfectly maintained. Steps away from your room you’ll find a myriad of water activities to do, including snorkeling and diving. 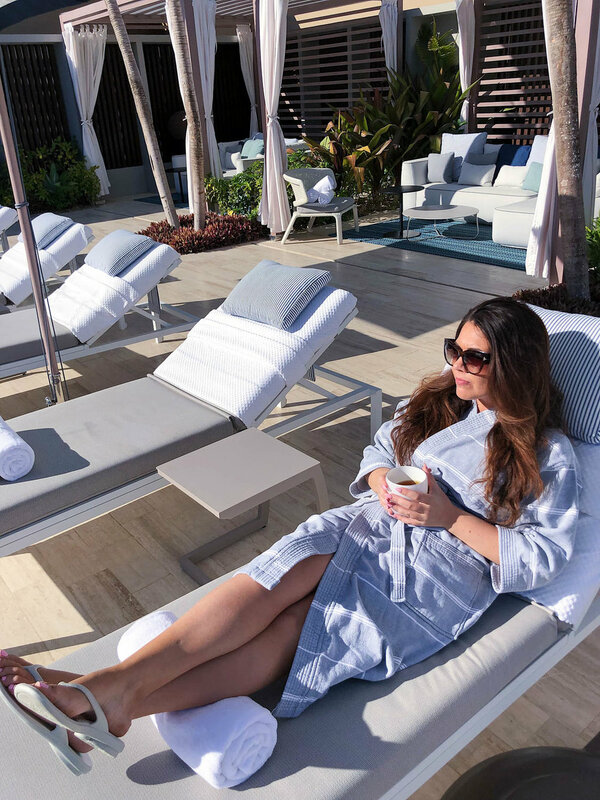 • This Spa has to be the best in Los Cabos, with 40,000 square feet of pure relaxation. Aesthetically - it is just beautiful. I highly recommend the Mezcal Signature Renewal massage treatment, which features actual Mezcal and Mexican rituals with orange essential oils mixed in. It ends with a Mezcal cocktail and Chapulines (crickets!). Yes, I tried the Chapulines for the experience...so should you! • The entry level rooms are 895 square feet, giving you plenty of space. Of course, the more upgraded, the more space! Although all the rooms have big patios, I personally like the rooms closer to the water that are beach front and have the separate living room and a large patio. If you’re traveling with a larger family, the 5 bedroom villa is the perfect location to fit everyone. 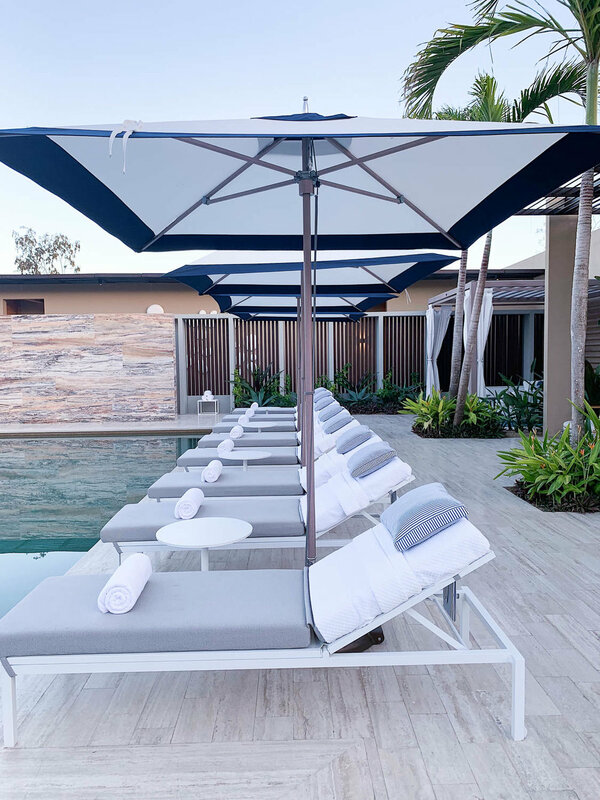 It also comes with a chef to cook breakfast daily, welcome BBQ, private cabanas by the pool / beach with wine and champagne. You even get a personal butler with a golf cart! • The cuisine is outstanding. They have a fabulous separate menu for vegans, which I thought was fantastic. Additionally, Be Well by Kelly has made a special healthy menu for the resort so you can stay healthy during your stay. Now till December 19th – 4th night free promo!